NEVER flash (upload software to) an ECU on a machine that’s running. If there are outputs that turn on or off during the uploading process, this could put you in a very dangerous situation. Also, if you are running prototype software that hasn’t been tested yet, it’s too easy to accidentally turn an actuator on full speed and suddenly have an out of control machine. If what you are doing requires you to potentially hit the E-Stop button to avert disaster, you need to stop and rethink your setup. A simple and easy fix for this situation is to jack the machine up so the wheels aren’t touching the ground, turn the engine off, but leave power to the ECU, and then flash the machine. Remember the phrase “unintended actuator motion” is the polite way of saying “out-of-control-wrecking-ball”. An extra 15 minutes of care can save a life. 2. Controlling the Voltage Instead of the Current . . .
We want to control the CURRENT, not the voltage to a proportional valve coil. If we crack open our old college Physics book (don’t worry, I don’t have one either), we will find that the strength of a magnetic field is directly affected by the current through the magnetic loop. If we fix the voltage to a coil, it will heat up and as it does so it will increase its resistance approximately 30-40%. That means that if I put 6V across a 7.1 ohm (10 size E-Coil) at room temperature, I will initially draw 845 mA and as I heat up to its quiescent temperature, the resistance increases to about 10 ohms. This means I’m now my coil only draws 600 mA. This will cause my valve to deliver less flow. HydraForce provides an extensive line of analog and digital close loop current controls which constantly monitor the resistance of a coil and adjust the voltage across it to maintain a constant current. They also take care of minimum and maximum current, as well as dithering the valve to reduce hysteresis. They are a small initial investment that will save you hours of headaches. 3. Forgetting to Harness that Wiring Harness . . . When I troubleshoot electrical problems, about 75% of them boil down to WIRING HARNESS PROBLEMS. Common mistakes include crossed wires, broken wires, poor grounding, and improperly installed connectors. A good wiring harness should start with a good drawing. 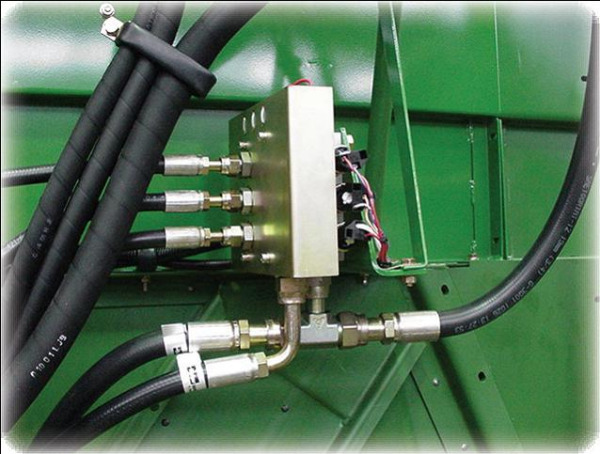 The same rules apply to wiring diagrams as hydraulic schematics. All voltages, terminations and pin assignments should be clearly labeled by their function. Wiring should be color coded. A really nice wiring diagram will have the wire length and gauge specified, as well as showing which groups of wires are bundled together in conduit or sheath. The NEC and SAE J1939 are both really well thought out in terms of wiring practices. I try to use all Deutsch components, especially in CAN lines. A good quality connector such as the Deutsch will provide years of faithful service and ease of maintenance. 4. Neglecting to Check Your “Connector” . . . 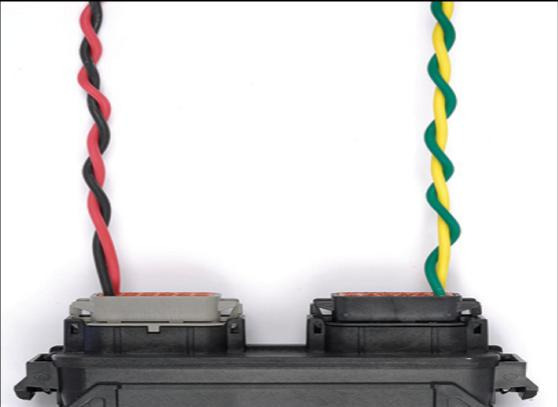 If you suspect a wiring harness problem, the first thing you should do is pull all of the connectors and make sure the socket or pin butts firmly up against the wedge lock. If the socket is not immediately visible, you don’t have a good connection and need to push the wire further into the connector. You will be able to feel a socket snap into place on a Deutsch or AmpSeal connector. Deutsch sockets and pins can be removed from a connector by pulling out the wedge lock with a jeweler’s screwdriver or a pair of needle nose pliers, and then using the screwdriver to pry up the locking pawl inside the connector. For an AmpSeal, simply pull up the wedge lock so it’s loose and pull and twist the wire from behind to loosen it. 5. Resistance is futile . . . if you don’t measure it! If you have a CAN line that’s not communicating, the first thing you should check is to measure the resistance from CAN HIGH to CAN LOW. This should measure 60 or 120 ohms, preferably 60. If this resistance is lower or higher, you probably won’t have reliable communication on the bus. There should be a 120 ohm resistor across the high and low lines at either physical end of the bus giving you a 60 ohm drop total. In a pinch, CAN networks work just fine with a single 120 ohm resistor in the middle, but the J1939 spec calls for one at each end. Great products to use here are the Deutsch CAN components which allow you to create modular CAN drops and have pre-packaged resistors with IP69 ratings. A well made CAN bus will eliminate about 75% of your connection problems.